It is pious; it is pure! 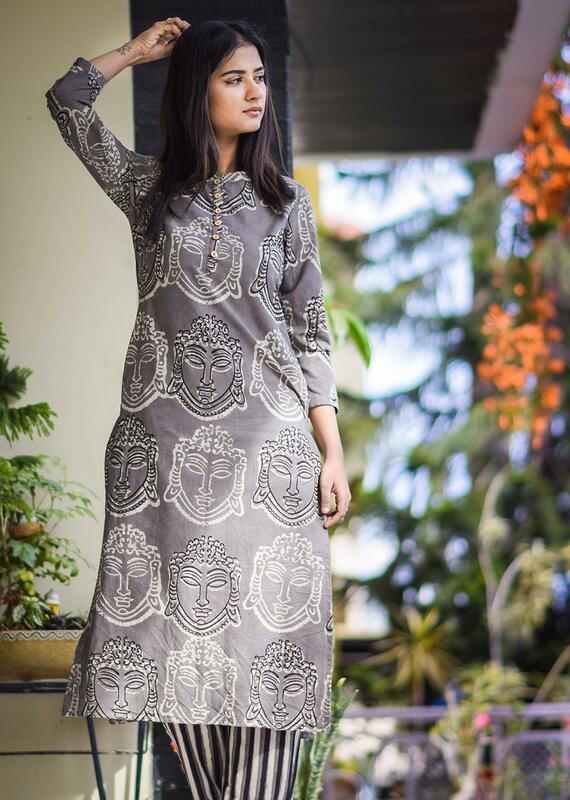 With 100% cotton fabric used in its making, this straight grey kurta and pants are really comfortable and contemporary to wear. 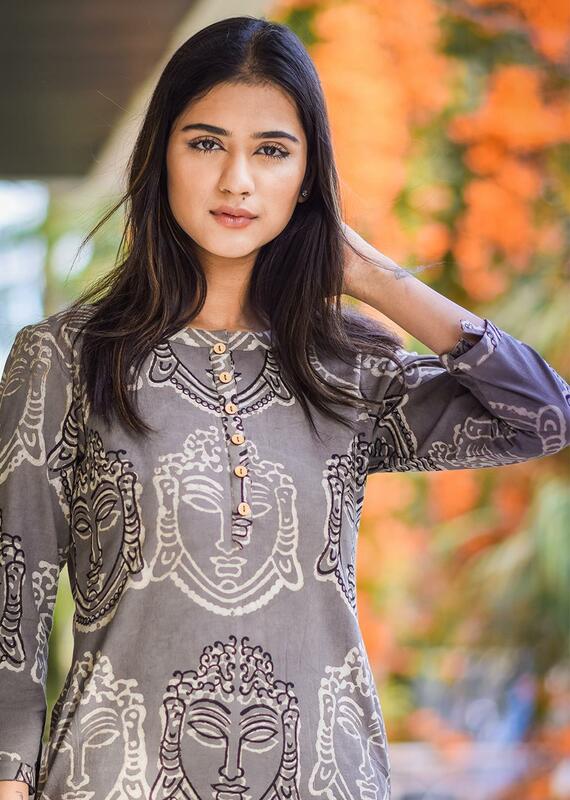 The kurta has simple round neck, three-fourth sleeves, two side pockets and bold block prints on it. The pants are stylish with straight lines. Overall the combination is exclusive and can easily be put on at home or in the office.